We have bouquet pricing to give you the most exquisite bouquet for a budget friendly price. Pre-made bouquets for small events, made by P&D Farm OR Bridal party pick your own bucket of wedding flowers. -You can also purchase flowers for $0.75 per stem. -Sunflowers are $1 per stem. They are NOT added as a stem in your bouquet. ​Pick your own- This option is perfect for small events or the "Do-It-Yourself" type. No appointment needed. Please check our "Hours & Events" and "In Bloom" page for the most up to date offerings. P&D picked-This option is ideal for small events, such as baby showers, birthday parties, etc. It is for the host that doesn't have time to harvest the flowers, but enjoys creating his or her own bouquets or arrangements. We pick the flowers that you want, and can deliver your buckets of flowers for an extra cost. See the third option for arrangements. P&D picked and arranged-This option is for larger events, such as weddings, and offers no stress for the bride or host. We take all the hard work out of your event. We begin with our free consultation to help create the party of your dreams. 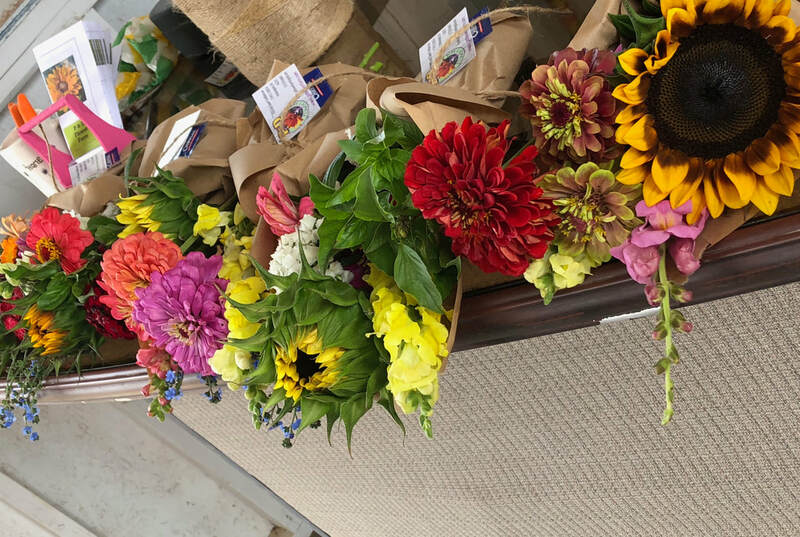 We will then harvest, and meticulously arrange our beautiful, locally grown flowers to your special event.​ We also provide delivery and set-up for an additional fee. We are now available for the P&D Flower Farm Call Ahead Flower System! If you call at least 1 hour ahead of time we can have your bouquet(s) ready to go for you to pick up! Just let us know what colors, flowers, and the size of the bouquet(s) you would like. *Please keep in mind that we are a small family farm so it might take us a little longer to put together your bouquets depending on how busy we are. It could take us between 15 minutes to an hour to make your bouquets.